In his new book, Europe United: Power Politics and the Making of the European Community, University of Notre Dame Assistant Professor Sebastian Rosato warns of a troubled future for the European Union (EU). 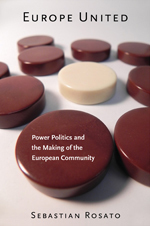 Set for release early next year by Cornell University Press, Rosato’s book challenges supporters’ idealistic view that the EU was formed out of a collective and border-transcending sense of European fraternity. While Europeans believe they have “left behind power politics,” says Rosato, the real reason behind pan-European cooperation was the cold-war menace posed by Europe’s once-powerful neighbor, the Soviet Union. Now, without that same threat, European nations are beginning to heed internal political pressure to look after their own interests and will gradually turn away from the EU bureaucracy. Years of hopeful rhetoric about a united Europe began in 1951 with the establishment of the European Coal and Steel Community, Rosato says, but the dreams of greater unity don’t match the reality when it comes to military and political union. Signs even abound that the single currency, the euro, is under threat from growing nationalism among the strongest EU member nations. During the recent European financial crisis, for example, Rosato cites reports that French officials threatened to walk away from the euro while involved in contentious discussions of Greece’s aid package. Another threat to the EU’s solidarity is that France or Germany, the strongest member states, could attempt to exercise more control over the powerful European Central Bank, Rosato says. The unraveling of the EU might pose challenges for the United States if the country’s leaders continue to view themselves as the world’s economic and military police, Rosato says. 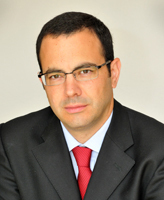 Rosato, who joined the Notre Dame faculty in 2006, specializes in international relations theory and international security. He is an assistant professor of political science, director of the University’s International Security Program, and a faculty fellow at the Nanovic Institute for European Studies and the Joan B. Kroc Institute for International Peace Studies. He did his undergraduate work at Cambridge University and received graduate degrees from Oxford University and the University of Chicago. Originally published by Mark Shuman at al.nd.edu on January 28, 2011.